Wonder Woman was the top rented movie of DVD Netflix in 2017. One look at Gal Gadot’s Wonder Woman and you can easily see that she’s a force of raw energy. Wonder Woman's huge box office opening, with a sequel announced immediately after its release, should make any woman stand up and take notice. In a recent interview with SciFi Now Magazine, star Brie Larson said, “To be fair, there are a lot of iterations of her, so there’s going to be some people there who think this isn’t right.” But the fans already know this. They are particular when it comes to their favorite comic book characters, and the mixed origins of the character may divide the fans on which version is best. However, all the arguments fade away if you make a good film. After all, Wonder Woman experienced similar backlash when it was announced that Gal Gadot would play her. Online, I read comments like: “She’s too thin to play Wonder Woman." I was appalled over the body-shaming. 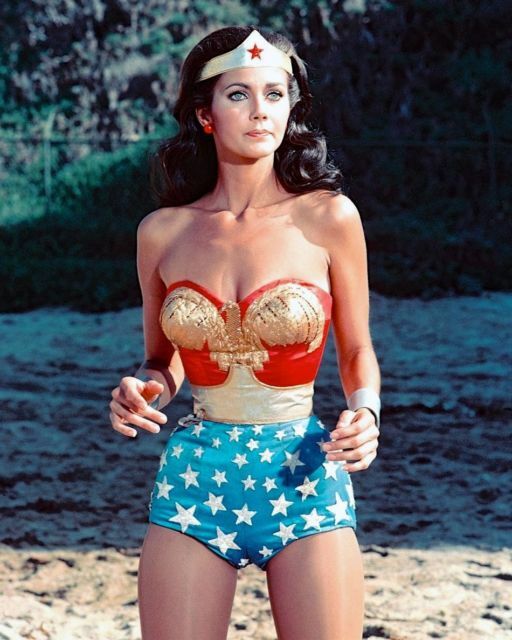 Lynda Carter was thin when she played the iconic character in the '70s! A good film doesn’t rely on the shape of the actress; it rests with the script, direction, and casting. Will it be good enough to be a decent box office draw? Anything is possible. The likelihood of the sequel of Wonder Woman movie making an impact is good, thanks to the success of the first film. Not only was it a a movie helmed by a female director (Patty Jenkins) with a female lead, shattering the glass ceiling, Wonder Woman has paved the way for other female superheroes to carve their own niche in a male-dominated industry. Studios will focus on people's innate curiosity. That "need to know" is what drives us to seek out the truth in all things. People will go see the movie to compare the success of Wonder Woman to other female-led movies. That's where studios must take notice. What made Wonder Woman a success? In my opinion, it was a culmination of things, such as the casting, director, the fandom, the hype, and, yes, her sexual identity. Even Gadot, who plays Princess Diana in Wonder Woman, teased on Israeli talk show "Good Night with Guy Pines" (via Batman-News.com) that Halle Berry would make a good love interest for Princess Diana in the sequel. Halle Berry is gorgeous and is a smart choice. Now, I'm not implying that movie studios use Wonder Woman as a formula. They must add some extra shine to their female-led movies. One must be careful not to exploit sexual orientation. After a while, it becomes cliché, tired, and obvious. For realism, it must be natural, like it's expected. Princess Diana's sexual orientation is already known in comic book lore. Still, studios have a tendency to use any narrative to fit their storyline. For fans, box office numbers mean absolutely nothing to them. I get that. I live that. It's about the love and support of the character. Still, the movie studios are concentrating on increasing the fan base and introducing the characters to non-comic book readers, which translates to net profits. That is why box office numbers are important. In order to continue making the films, the films must show a decent profit margin. Otherwise, why make a theatrical film, when they can release it on DVD, VOD, or SVOD? That is why the announcement of Wonder Woman's sequel during the opening weekend was not only surprising, but substantial. Let’s take the new Captain Marvel movie. A lot of hype surrounds this movie. Brie Larson, the actress who will play Carol Danvers/Captain Marvel, is ready for the challenge. After all, she is to be the first female Marvel superhero to get her own movie. According to Marvel.com, the character's "current powers include flight, enhanced strength, durability and the ability to shoot concussive energy bursts from her hands." Additionally, she's an excellent pilot and highly skilled in hand-to-hand combat. Further, in an alternate cinematic universe, who wouldn't line up to see a Captain Marvel vs. Wonder Woman movie? With speculation on release dates and storyline for the Wonder Woman sequel, Marvel is feeling the pressure to deliver. It will be interesting to see if the Wonder Woman sequel releases the same year as Captain Marvel. That could be a good thing, for both characters are role models for many girls. Gender aside, who wouldn't want to stop bullets with their bangles, or fly planes like an ace jet fighter? I know I would!